Couldn't resist adding a bit of Prodigy to this post, rather fitting song though! 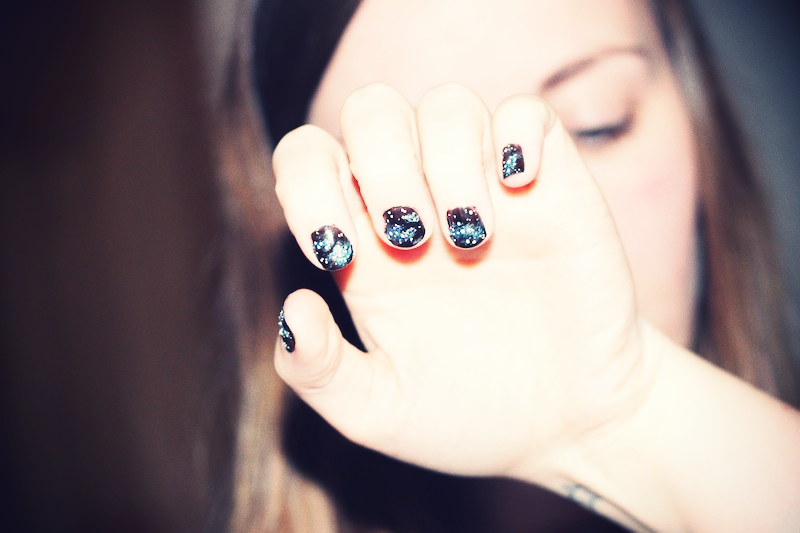 So, here are my Galaxy Nails, Space Nails, Nebula Nails, Cosmic Nails, whatever you want to call them. After seeing this photo (and subsequently finding out it was photoshopped) I set out on a quest to recreate them as best I possibly could scouring lots of tutorials on blogs and Youtube. So I set about trying to do them and to be honest they looked rubbish, nearly all tutorials call for sponges, which after trying this technique I really don't think it works well. In the end my boyfriend had a go, and hand painted these onto my nails using and mixing various polishes. 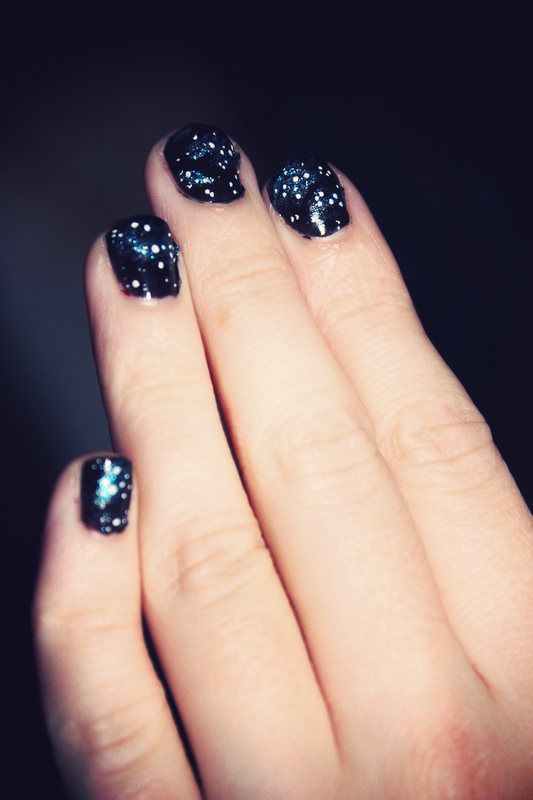 He's massively into art and astronomy and used my nails as little canvases. The star formations or "Nebula" are actually set in dust clouds, so they really do look like something straight off of the Hubble Space Telescope. It took quite a while but I think they look out of this world (pardon the pun haha) and I can't stop looking at them. From what I've seen there are no nail wraps or anything like this available yet, we were thinking if any of you are interested in having your own set of these, my boyfriend would be happy to craft a set of false nails for you for a small fee. Let me know in the comments, and if any of you are interested I will do a separate post on this. 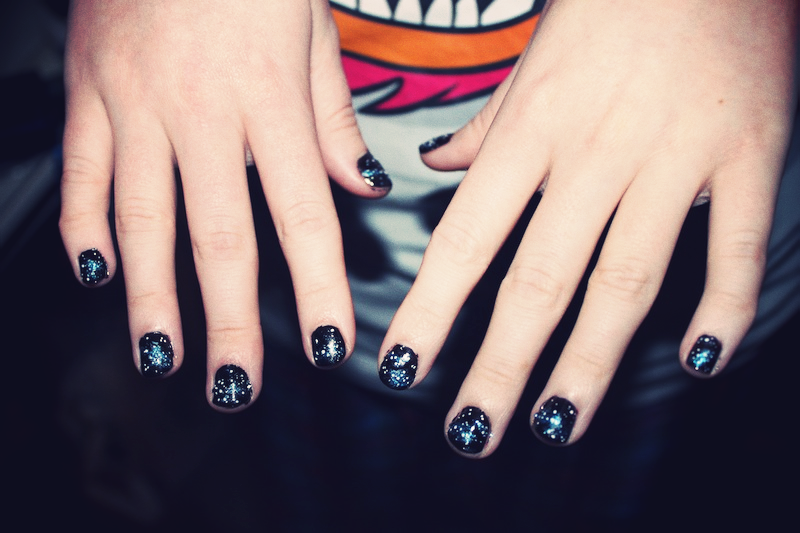 What do you think of my Galaxy Nails? Cool effect. Really does remind me of the galaxy. haha what did I say Kel PIMP that boys skillz out & get him down the market!! I think the best thing about this post was reading the your boyfriend done them. So cute! Oh, and the nails are good too! Pretty! Your boyfriend is rather talented! 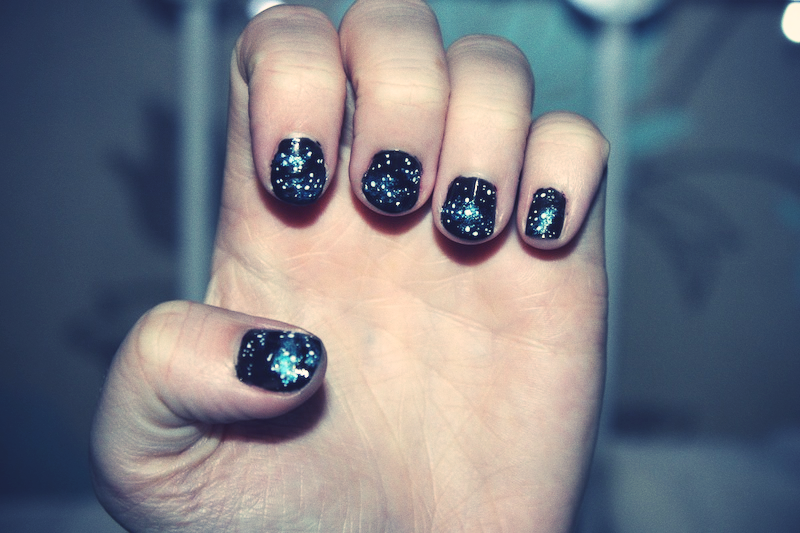 what a cute idea.I love galaxy/stars print and i think it turned out pretty well! The look really pretty. Can't believe your boyfriend helped you do them! 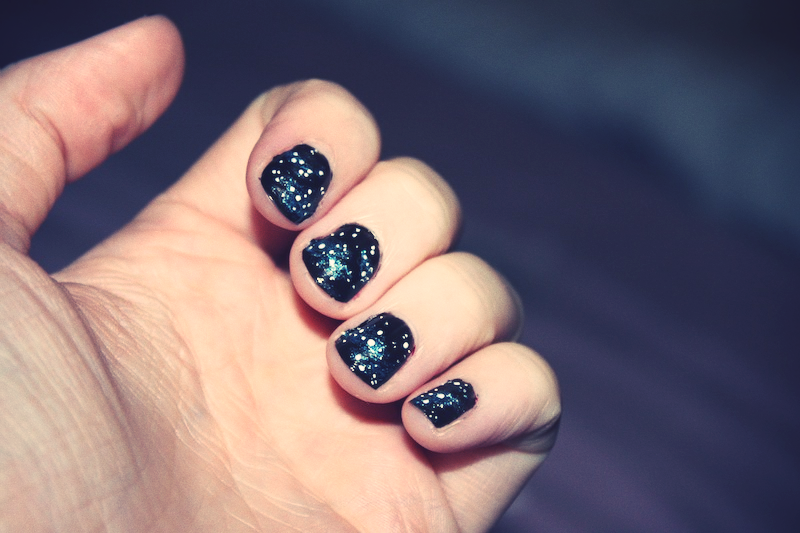 I'd love to try a good nail wrap with this on.